Mummy.. what will you have for breakfast in Jordan? Another brilliant question from the children this morning! Tomorrow I leave for a trip to Jordan with World Vision – to learn about the work they are involved in there and to learn and share the stories of some of the 600, 000 Syrian refugees now in Jordan. I love to travel and to introduce our children to different countries and experiences. And nail on head one of the most telling things about where you are is what you have for breakfast! 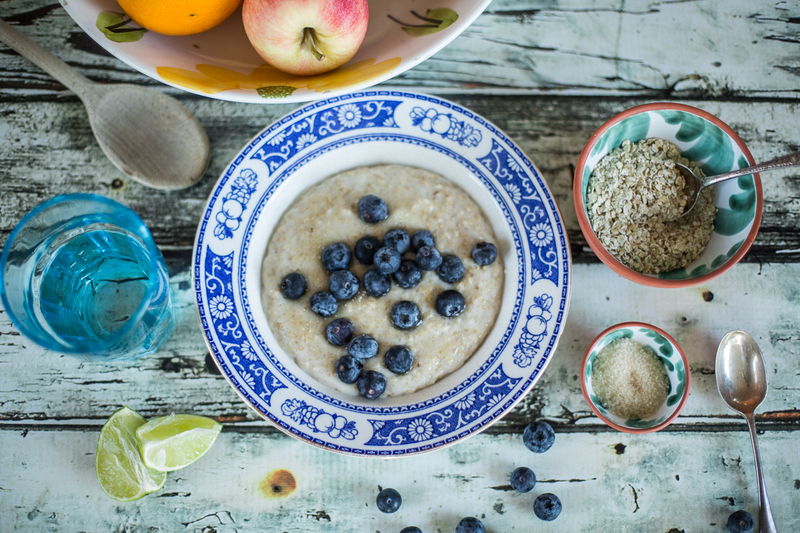 In Scotland I have porridge every day (with superfood blueberries liberally sprinkled on top!) I have eaten roast guinea pig (sorry!) in an Ecuadorean market, spicey fish curry while on honeymoon in Borneo, pancakes, bacon and lashings of maple syrup in Canada (washed down with huge mugs of coffee instead of my usual tea), and over the past year the children have enjoyed baguette in France, churros and fizzy orange in Barcelona and oranges picked straight from the orchard in Greece. Breakfast, for me, is the dish that defines where you are in the world. I have no idea what I’ll be eating next week – but it is one of the questions I plan to ask the children that I meet – “what do you eat for breakfast?” – I know the answers will be interesting for my children and I want to make my journey relatable for them. “A mum-of-two from the Isle of Skye is due to travel to the Middle East with international children’s charity World Vision to meet refugees from the Syria Crisis. Rosie Woodhouse, a blogger from Breakish, is visiting a huge refugee camp in Jordan, near the Syrian border, to document the plight of families who have fled the conflict. The Syria Crisis, which has claimed the lives of 4.4million people, will enter its sixth year in mid-March. World Vision is supporting refugees inside the country, and those who have fled to neighbouring countries including Jordan, Lebanon, Iraq and Turkey – and has now extended its work in Europe. Rosie, said: “As a mum of two, I can’t possibly imagine what these families are going through having sought refuge in Jordan from Syria. As a photographer, I’m often inspired and deeply moved by the work of journalists and photojournalists. In particular, the death of Marie Colvin in Homs four years ago spoke to me of the spiralling escalation of the situation in Syria. To mark the five-year milestone since the start of the Syria Crisis anniversary, World Vision UK has launched the Barefoot and Coatless Campaign. On Wednesday 10 February, the children’s charity is asking people to go without their coat or spend the day in flip flops for one day to fundraise for a Syrian child to receive one. World Vision has been responding to the crisis since 2011 and is currently helping children and families on the ground in Serbia, Lebanon, and Jordan, as well as Iraq, Syria, and Turkey. However, we desperately need the public’s help to do so as winter looms and the crisis moves towards its five-year anniversary. Every year winter hits especially hard for the millions of Syrian refugees living in makeshift shelters and camps in the Middle East, but this year the degrading situation and increasing numbers of refugees have aggravated an already difficult situation. Preparations have been in full swing for the past few months in order to protect the most vulnerable families from a possible repeat of last year’s winter storms. Last year’s first heavy snow in Lebanon’s Bekaa Valley caused collapsed tents in the informal tented settlements and even several deaths due to the cold temperatures. As early as November, refugee children in Serbia were experiencing severe frostbite and unable to walk any further. Moved by the severe need we’re witnessing on the ground; World Vision UK is asking our supporters to take action ahead of the 5 year Syrian anniversary (15 March 2016). We’re asking people to go without their coat for one day, to fundraise for a Syrian child to receive one. On 10 February, go without your coat, spend the day in flip flops, take a walk with colleagues at lunch time or arrange a winter warmer with friends. Just £14 can buy a winter coat for one of the two million refugee children living in tents and poor housing to survive the cold conditions and £51 can provide a winter care kit to a refugee child including shoes, socks and winter coat.